There are two ways to create a New Category. You can either do this from your Website Tree on the left or select an existing page which will prompt an Add New menu to appear on the right. 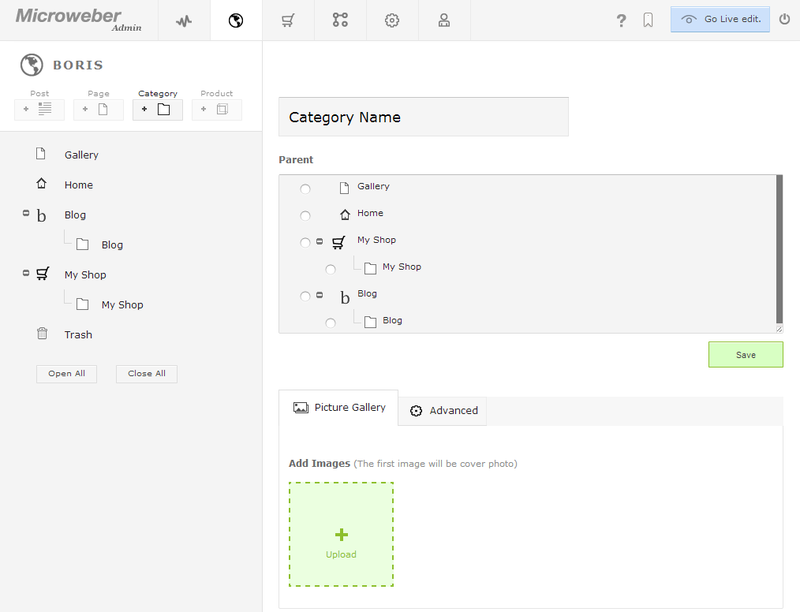 From here you can choose to create a New Post, Page, Category, or Product. Be sure to save your newly created category. When navigating into Live Edit view your category will be included in the Categories module on the sidebar on the right of the screen. Clicking on it redirects to its interface. There you can include anything you wish – pictures, videos, text fields, contact fields, the whole range of different Modules and Layouts.